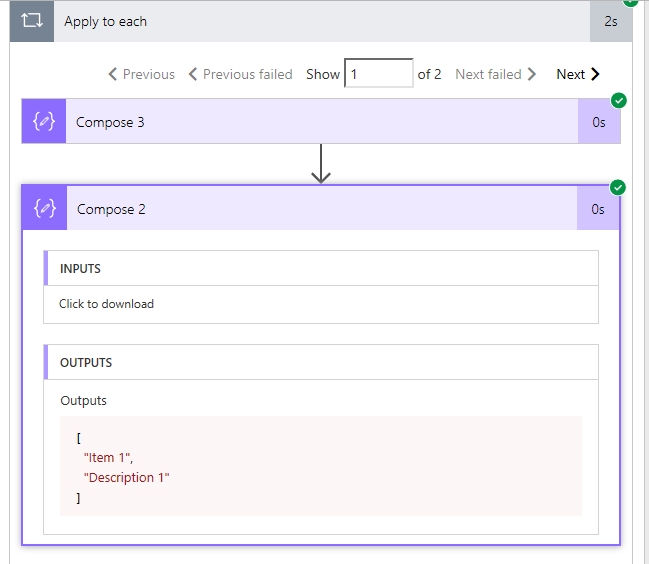 You have data stored in XML and you want to use this to create list items in SharePoint and you thing that Microsoft Flow might be able to help you. You couldn’t be more right. Flow can help you, but is it something that is easy to do? No! Although once you know how to do it it is quite easy. 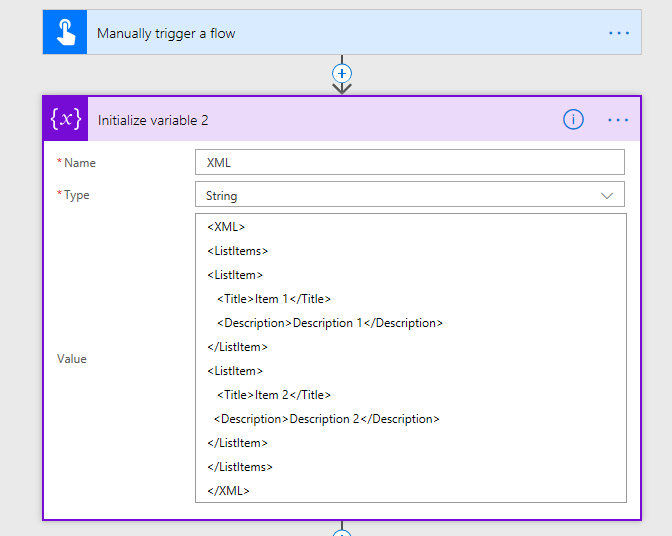 I’ve added this XML as a variable to my flow. Now I first want to collect an array of list items. I’m using xpath in a Compose step to do this. Then I take the output from the Compose action and walk through the array of list items. I hear you ask: “What is that $content?”. I’m simply taking each item in the Apply to Each and grab the $content. To really understand this you might want to look at the output from the first Compose actions. but now we still have the unreadable text starting with “PE…”. to convert this into a readable XML, we will need to use the base64ToString() function. Now all we need to do is repeat our selves inside the Apply to Each for each of the list items. If you still want to keep the field names form the original Xml that we started with then you could adjust the expression and not use the text() function. However I thought from an educational point of view the showing the different options in this post would be more useful. This works fine for simple fields like you describe. However, there are issues with more complex fields like Lookup Fields. 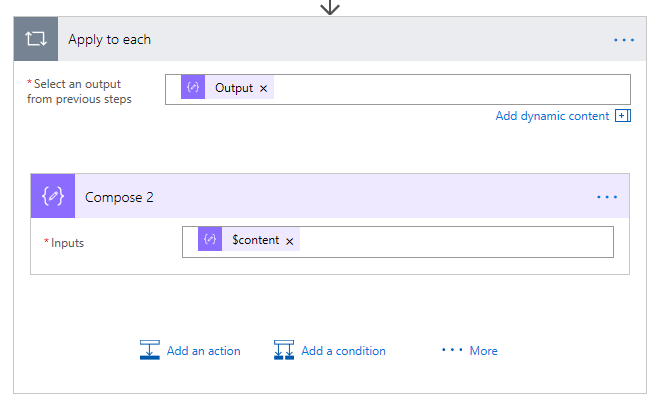 that’s exactly what I need for my SharePoint solution, but unfortunately, I’m the beginner in MS Flow and I have lost on my way to try to implement your steps. Can you add here (or send me by e-mail) the ZIP file for import to my library of flows? And what will be the difference if I have URL for XML file which is dynamically changing (like RSS but doesn’t RSS syntax)? 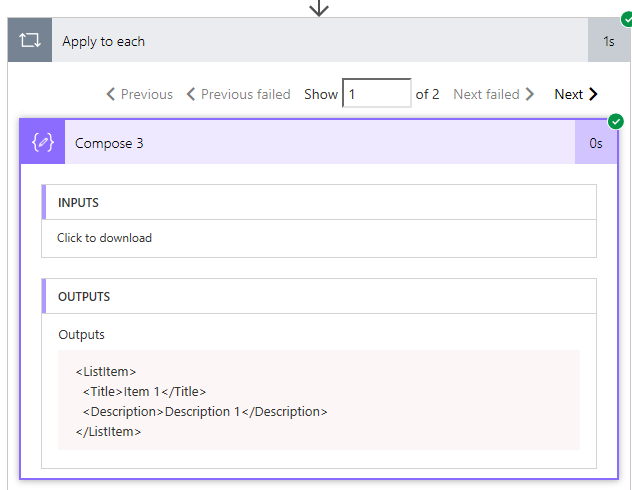 All you would need to do is put the XML in a file in a library then use a get content step from the SharePoint connector. 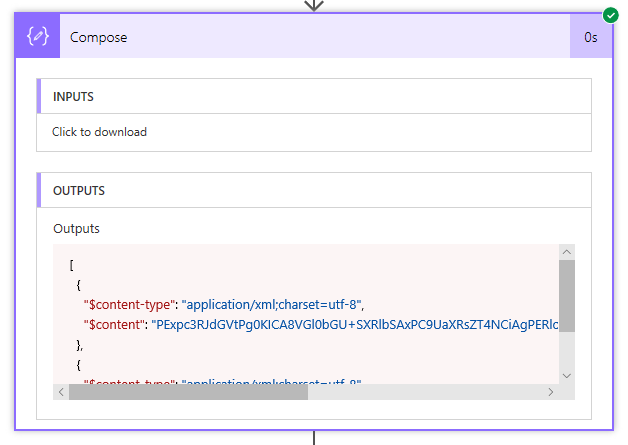 Then you’ve got your xml available whcih you can use to set the Compose actions. Then once you’ve got that the following steps will remain the same. OK, and what about the ZIP file? I can’t really create a zip file for you to import. I wouldn’t have all the field name exactly the same as you may have on your list. Oh my goodness, thank you so much for this! I was having such a time trying to figure out the base64 issue and your post cleared it right up. Question can you give me some advice to convert the outputs to map with some fields in a new business central record ? At the end of my post I’ve got some json. I would probably push this through the the Parse JSON action. This then will give you Dynamic content that you can play with. The alternative option is to use the outputs function.